Former acting CMS Administrator Andy Slavitt has been named senior adviser to the Bipartisan Policy Center, where he'll work with former Senate majority leaders Tom Daschle and Bill Frist on healthcare issues. The bipartisan think tank isn't the only organization Slavitt will advise. He also will work with Chicago-based Avia, a national network of health systems that work on scaling innovations in the healthcare industry. Slavitt is proud of his time at the CMS, calling his time in politics a great experience. “There was nothing like waking up every day and knowing that you were going to make decisions that were going to really matter to people,” he said. 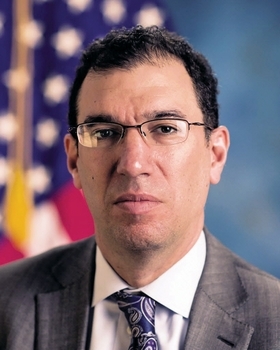 After helping repair the federal insurance exchange website, HealthCare.gov, as principal deputy CMS administrator, Slavitt was appointed acting CMS administrator in March 2015, a position he held until January 2017. Before joining the CMS, he was group executive vice president at Optum and CEO of OptumInsight. Slavitt will be joined at the not-for-profit think tank by Natalie Davis, who was his senior adviser while at the CMS. Davis will be director of strategic engagement at the center, which focuses on many national issues, including healthcare. He will also be joined by Avik Roy, who is serving as another senior adviser. Roy is the co-founder and president of the Foundation for Research on Equal Opportunity, which published a health reform proposal last year whose goals Roy said he hopes to advance at the center. “Universal, affordable health insurance in a permanently fiscally sustainable system where Americans enjoy the ability to choose the kind of coverage and care they want,” Roy said. “The question is very simple: Does it cover more people? Does it make healthcare more affordable for people? Does it improve the quality of their protection, does it do it efficiently, and, I would add my own judgment, does it do so equitably?” he said.